I decided to play around with a new tool on my Mac this week and share something a little different with all of you. Below is a collection of photos from the last twelve months of my life, working in Japan, cycling, sitting in cafe’s, marrying my lover, and traveling. If this was a book cover, what title would you give it? I love photographs. They have a way of simplifying the haze of memory into simple clear cut slices. The story they tell is always bias and and comes with a viewpoint, but they do give us perspective. 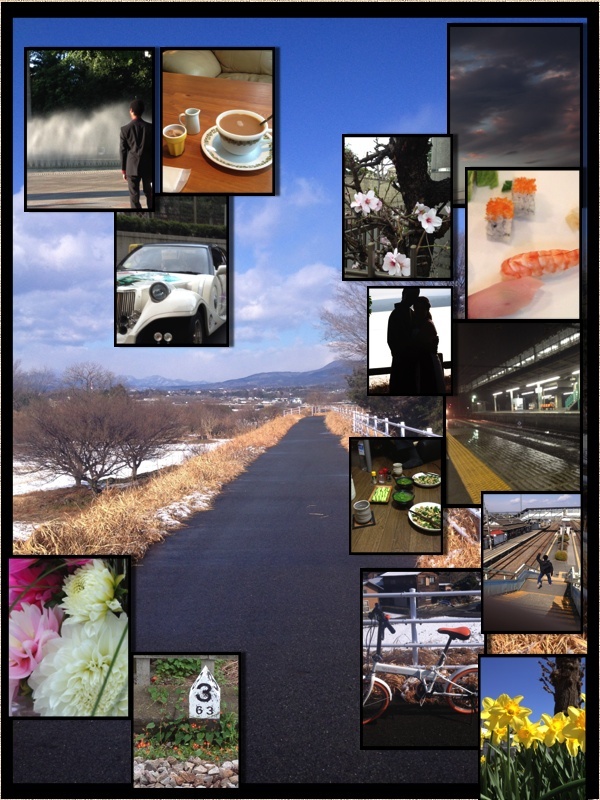 This entry was posted in General, People and tagged cycling, flowers, Japan, Life, Perspective, Photos, sushi, traveling, twelve months. Bookmark the permalink.